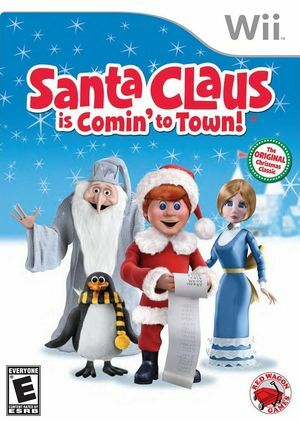 From Kringle to Claus... Now you can help Kris Kringle to bring toys back to the children of Sombertown, escape the Burgermeister Meisterburger and become Santa Claus in Santa Claus is Comin' to Town!! Collect letters, snowflakes and hidden stockings. Receive magical powers from the Winter Warlock. Get help from Topper the penguin in Multiplayer mode. Discover unlockable content. 25 levels with platforming and mini games. The graph below charts the compatibility with Santa Claus is Comin' to Town! since Dolphin's 2.0 release, listing revisions only where a compatibility change occurred.